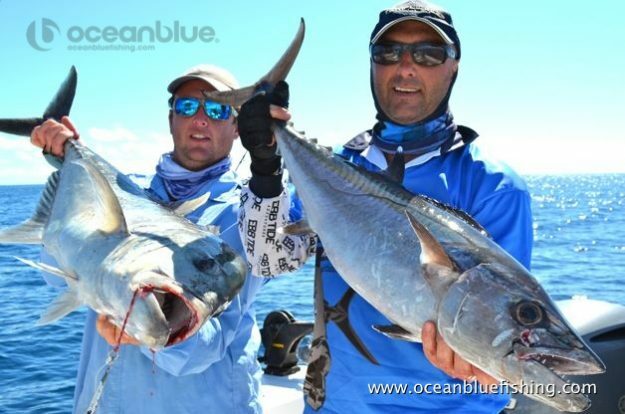 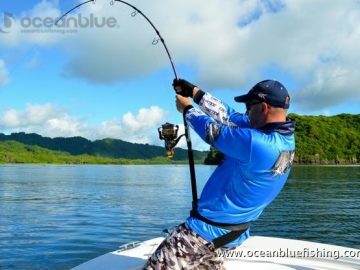 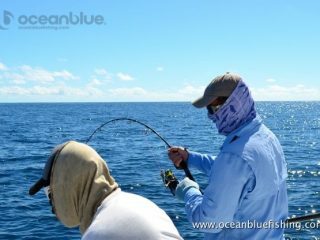 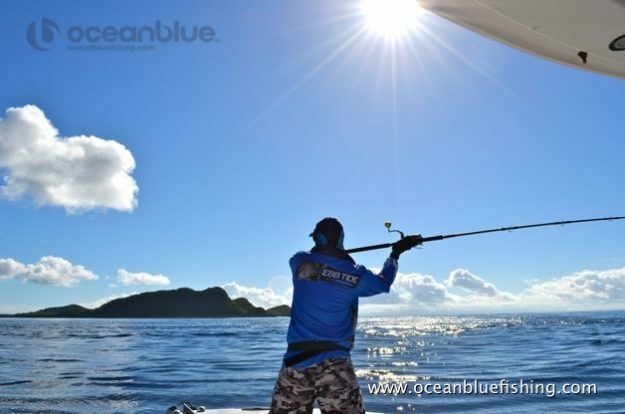 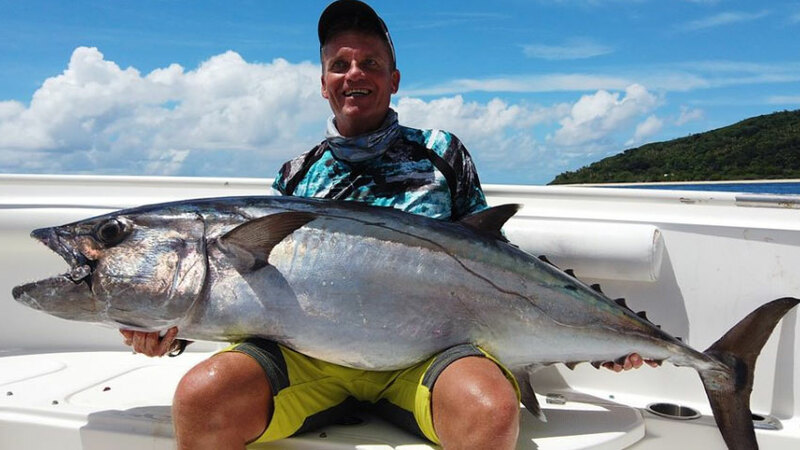 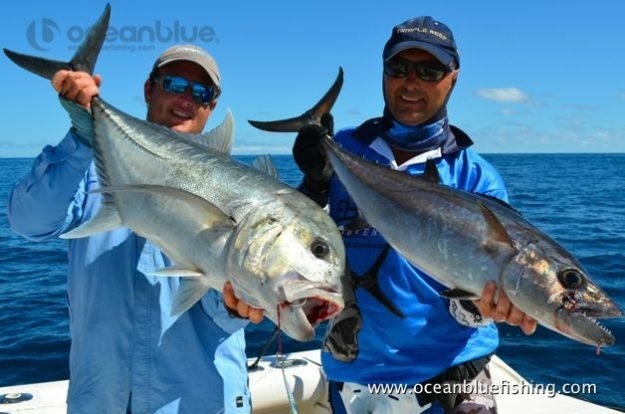 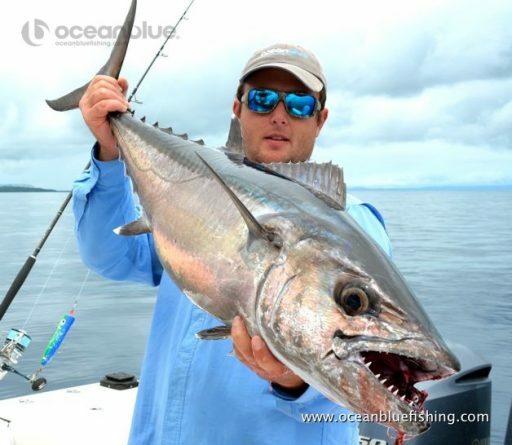 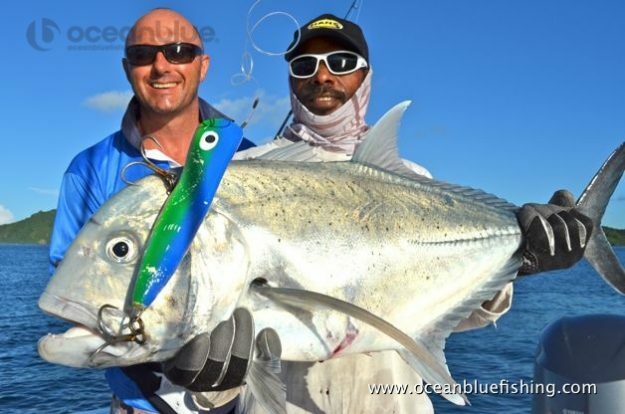 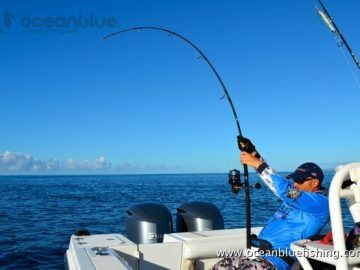 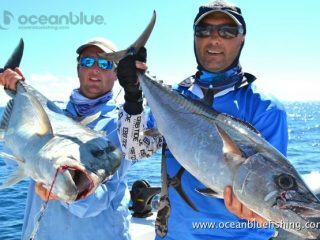 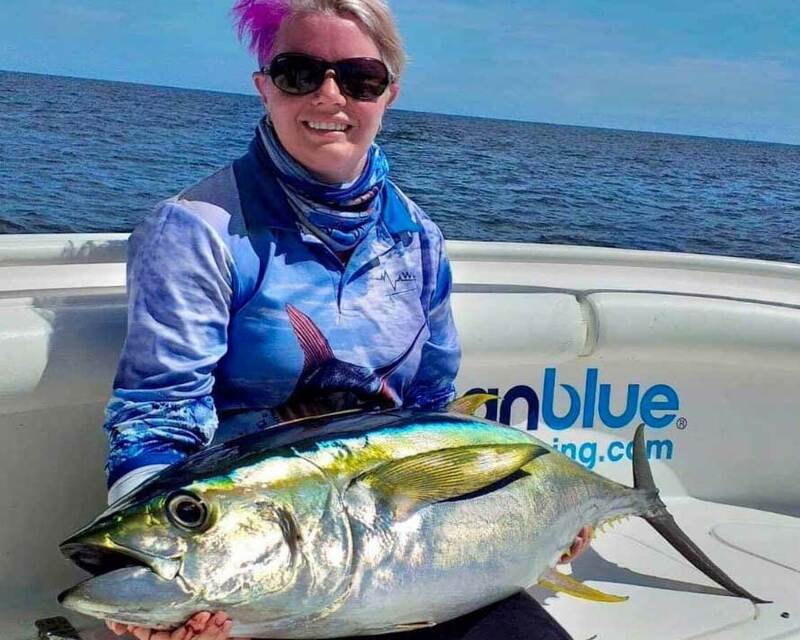 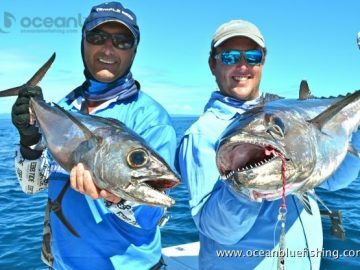 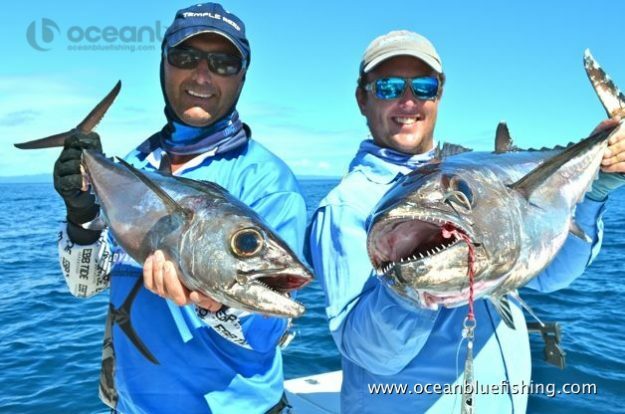 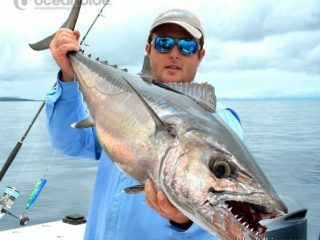 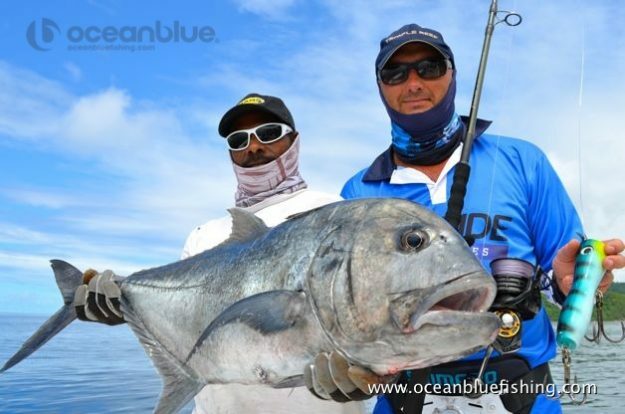 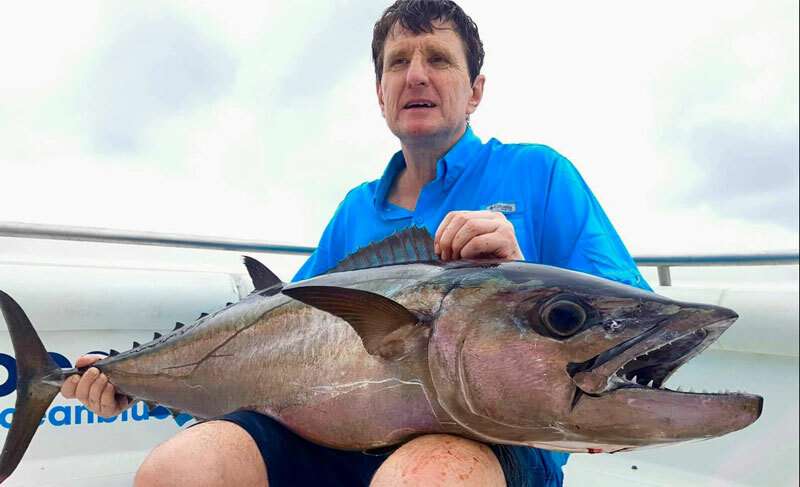 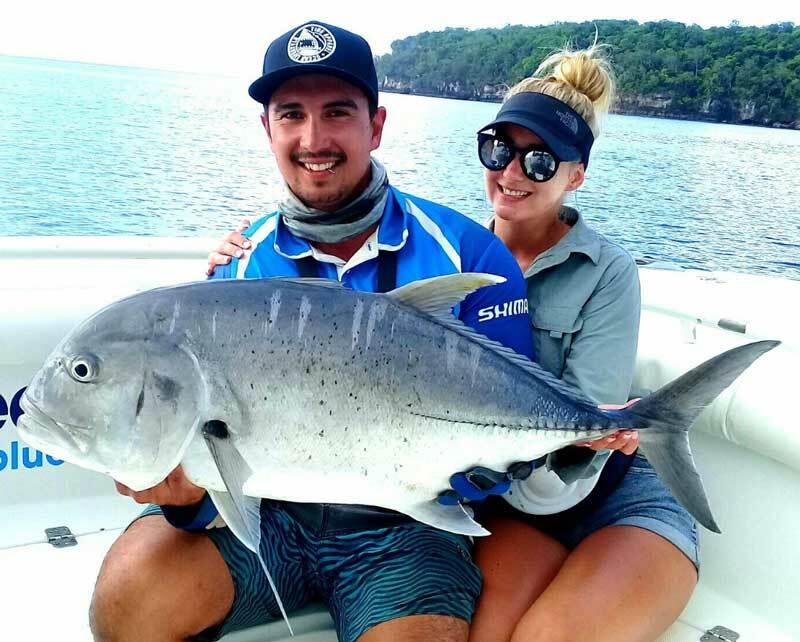 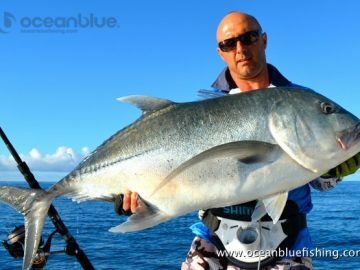 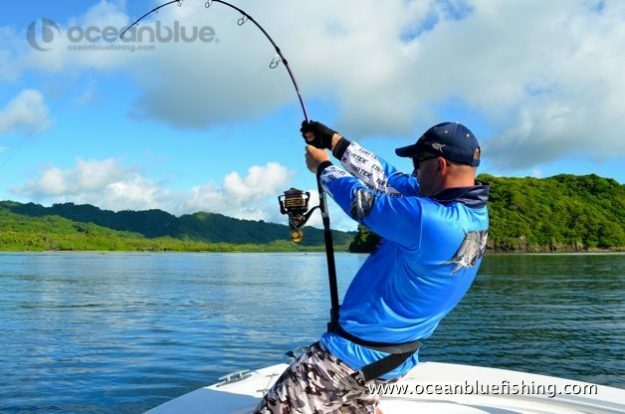 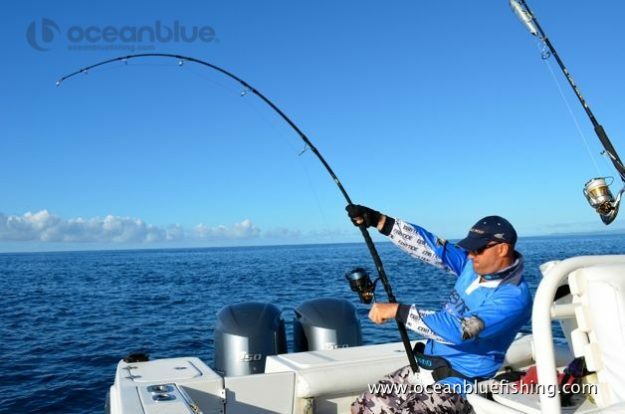 Ocean Blue guides Andrea Traverso & Eric Festa, along with guest angler Bertrand Picarda, have just spent a few days fishing the Maskelyne islands. 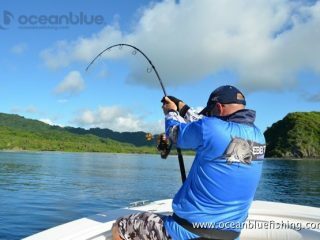 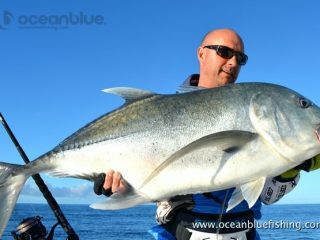 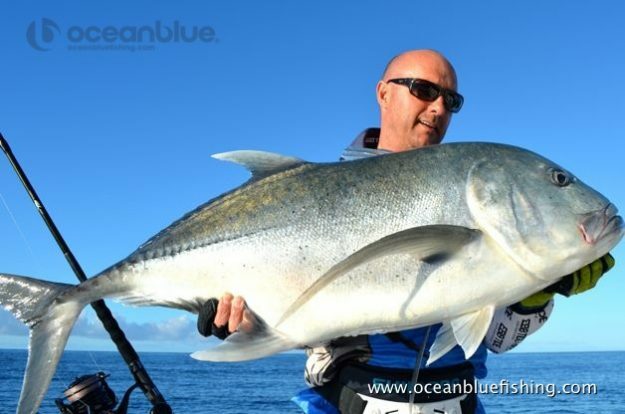 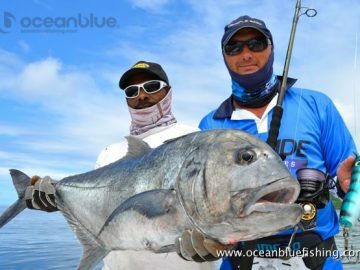 The aim of their ‘reconnaissance trip’ was to explore some new jigging and topwater waters around these remote islands. 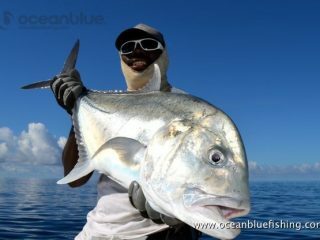 Fishing started slowly despite the seas being quite calm, probably the result of a lingering tropical low. 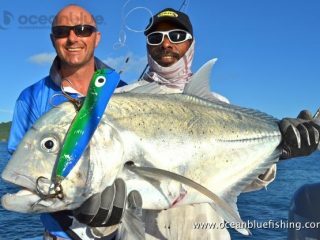 They raised some big GT’s but the bites were really not aggressive enough, with lazy follows & half hearted strikes at best. 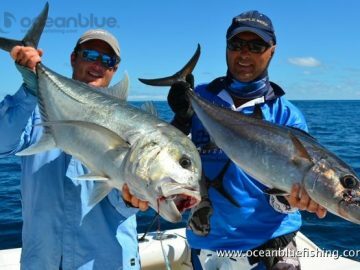 The bite turned hot however and the guys managed to land 8 GT’s, with some double hook ups and lots of explosive strikes missed in between. 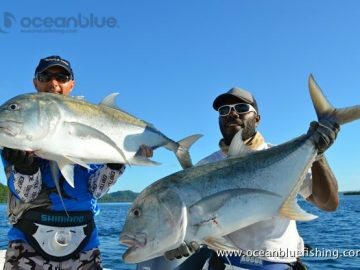 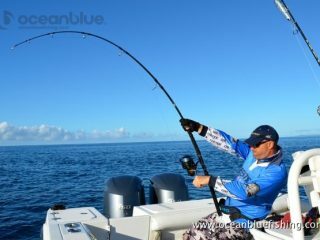 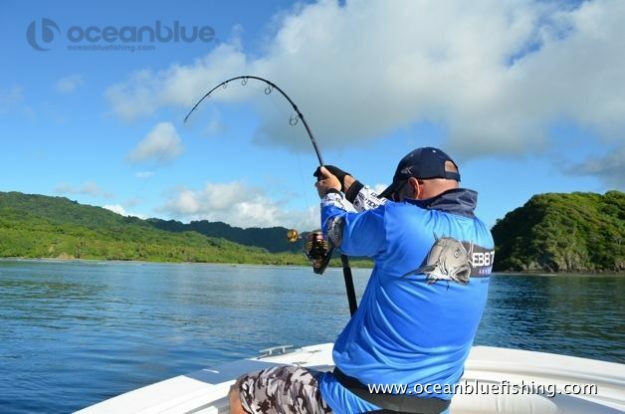 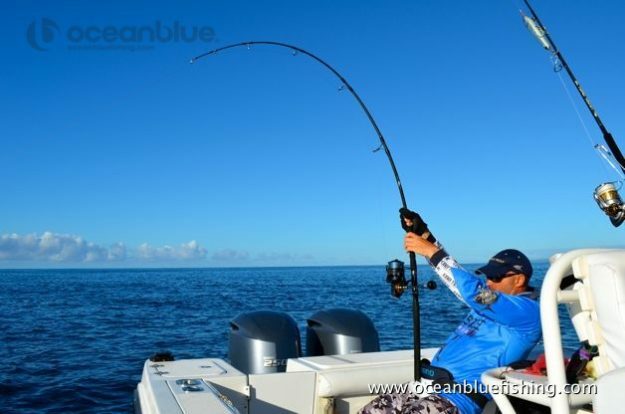 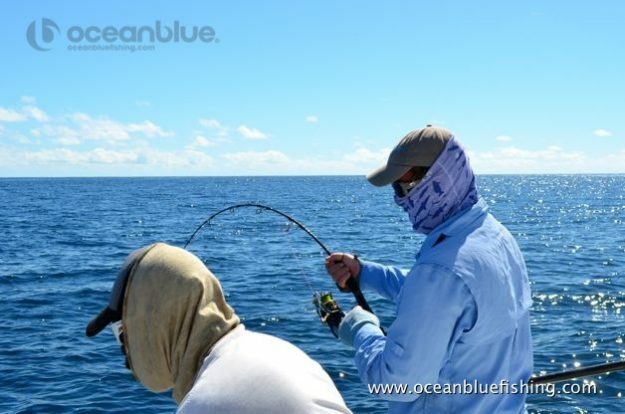 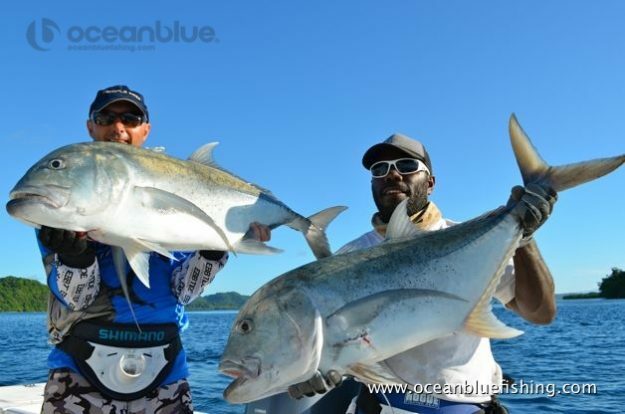 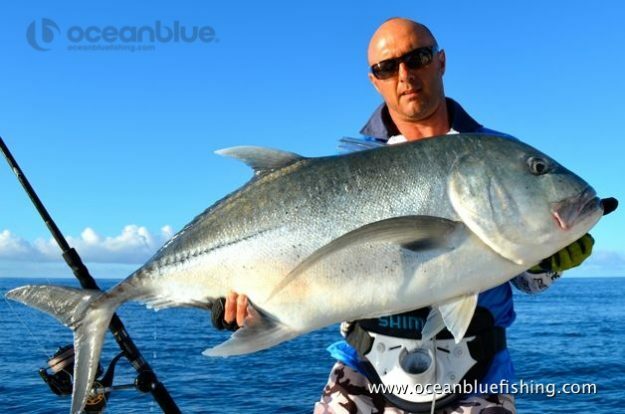 After a good topwater session they moved on to jig deeper seamounts, targeting dogtooth ofcourse. 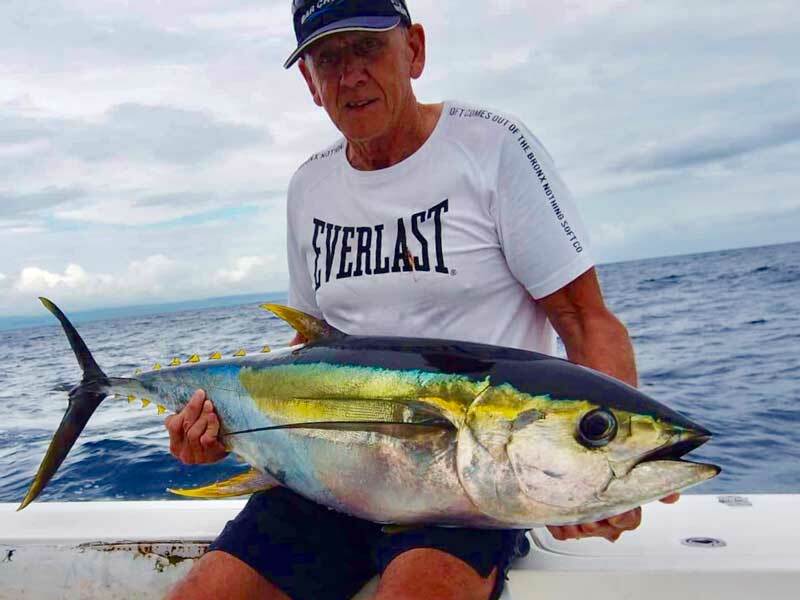 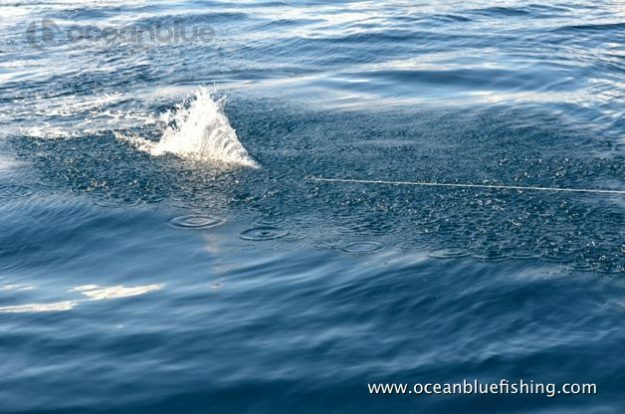 On the first seamount Bertrand raised a sailfish on popper (handmade for him by his mate Jean) and using the same popper missed out on a trophy sized doggie!! 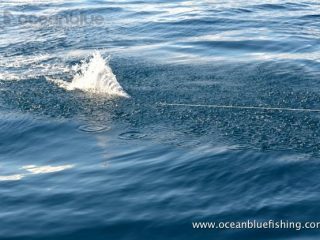 But the jigs got hit virtually every drop, and provided plenty of fun, mainly on small to medium size doggies. 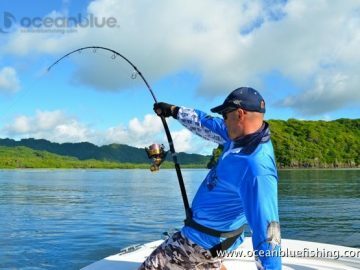 Bertrand was fishing with his “Temple Reef” gear to which Andrea was most impressed with. 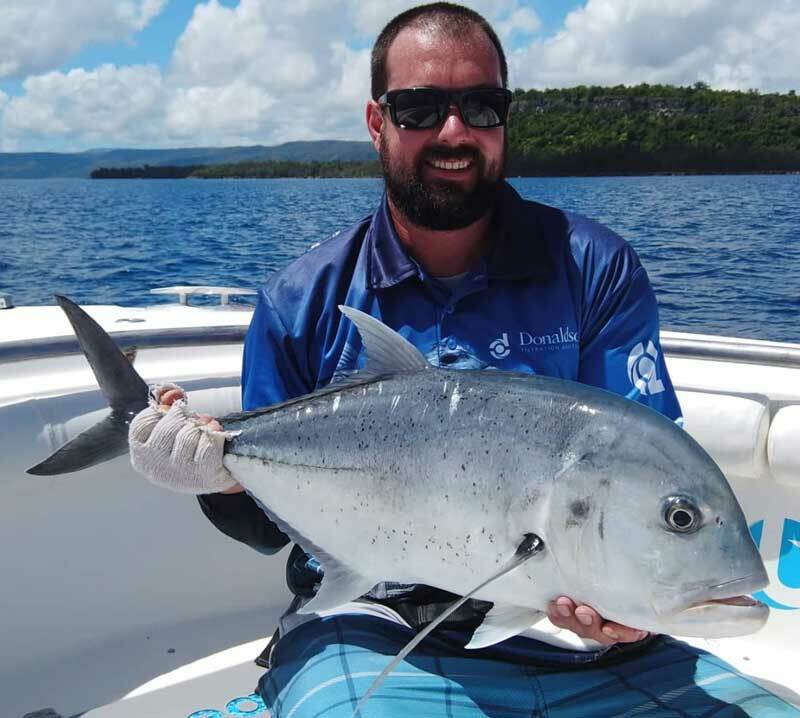 During their down time the boys experienced the island way of life and company of the locals from the Maskelynes, where I’m told that plenty of “storian” (story) went on between them and the French connection!